Of all birds the carrion crow is the most detested by gamekeepers and country people who rear flocks of poultry, because it is the craftiest of egg thieves. 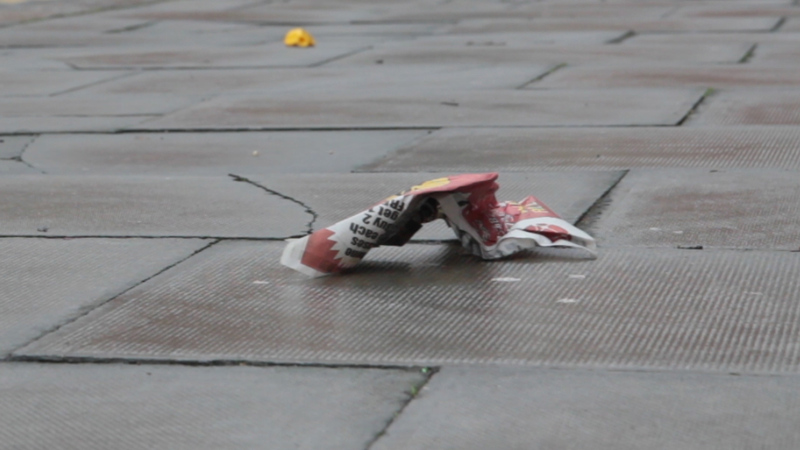 Wild birds also suffer acutely from its depredations. It is the habit of crows to perch like sentinels on the tops of isolated trees, where they can see what is going on in all directions. When birds are building their nests, their activities are observed and remembered by the watching crow, and in due course many nests are wrecked and robbed. Later, when trees are more leafy and it becomes harder for the nests to be spotted, the crow is quick to observe other birds carrying food to their young and again he makes his merciless pounce when all has been discovered; this time he takes the chicks. He may be considered a natural regulator of bird populations and to some extent he plays a useful part in improving the chances of birds which can manage to outwit him. For many years past I have lived in marshy districts inhabited by a good many crows, which nest unmolested in tall riverside trees. These birds take nearly all the first clutches of duck and moorhen eggs that are laid early in the season. In a cold spring, the chicks which would have hatched from these eggs would in all probability die of starvation, whereas when further clutches of eggs are laid in replacement of those lost, the offspring stand a much better chance of survival. If a bird loses its first eggs, it usually seeks a better concealed place in which to build its second nest and in any case there is always more natural cover from vegetation later in the spring. In learning to escape the vigilance of crows, birds also avoid the attention of some other predators, such as jays and magpies. They also tend to sit closely on their eggs and leave them, when they have to, with secrecy. Outside the breeding season, crows often patrol the waterside, picking up carrion and attacking wounded birds in the shooting season. Some of them haunt beaches and estuaries where they eat shore-crabs and mussels, whose shells they crack by dropping them from a height. They tend to hunt in ones and twos, unlike rooks which go about in flocks; but I have seen as many as 40 carrion crows in a bunch in early summer; these were all young birds which had assembled from several nests, to travel round in a gang, as is the way of adolescents. You may tell an adult crow from a rook by the black feathers covering the base of its bill where the rook has a patch of bare skin. The crow’s caw is much more harsh and resonant than that of the rook. In much of Ireland and Scotland, our carrion crow is replaced by the grey-and-black hooded crow; in the border zones, the two species inter-breed. Why there should be two distinct races inhabiting adjoining climatic zones is a mystery. 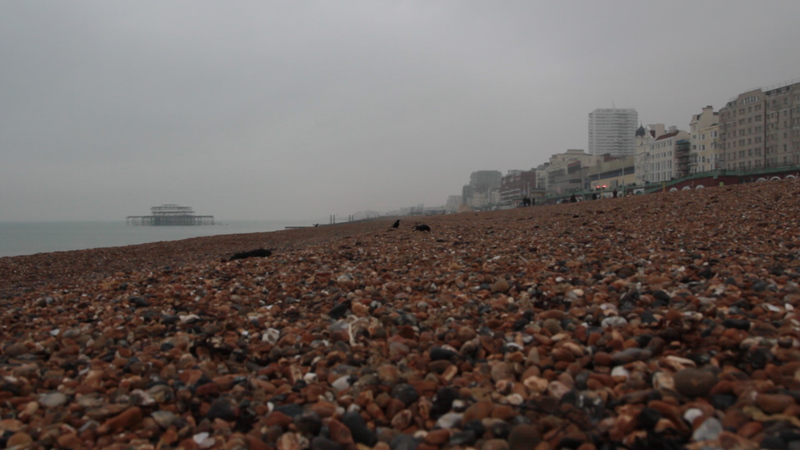 I filmed crows on Brighton beach this afternoon after deciding I wanted to use the crow in my film. I wasn’t successful in obtaining the kinds of images I wanted – I couldn’t get close enough to the crows. I decided to use sound instead and downloaded a crow sound from freesound.org. At present I’m uncertain why I want the sound of a crow, except that to me it sounds sinister. I think I read somewhere once: the crow represents the harbinger of death. I think the crow’s caw sounds harsh and intrusive.